Unique Moments Photography of Gig Harbor Washington is at your receptions until the highlights of your reception are captured. Our opinion is that the dance shots are the most important images of the night. 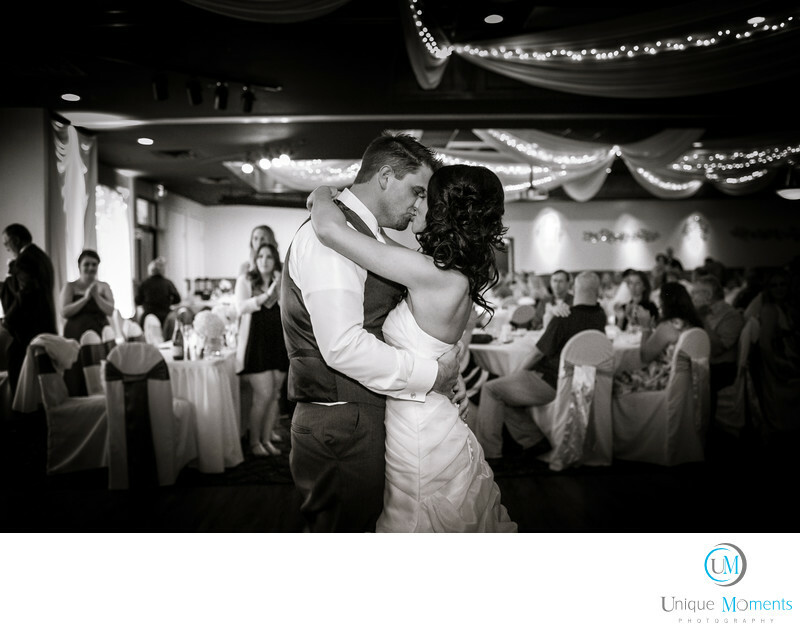 We are known for our dance shots and our clients Love them. We completely Isolate the bride and groom with a shallow depth setting and we fire off camera flash when ever possible for directional lighting. It is not uncommon for a bride and groom to get back 40 dance pictures. We are looking for emotional responses from the subjects. The eyes and the reactions tell the story. All eyes are on the bride and groom. So we tell them to just go out and enjoy the moment and pretend no one is there. Its your time to enjoy each other. We will do the rest. We have tons of dance images on our Facebook fan page. Please like our page as there is a lot of ideas to looks at in the picture area. Location: 31910 Gateway Center Blvd S, Federal Way, WA 98003.